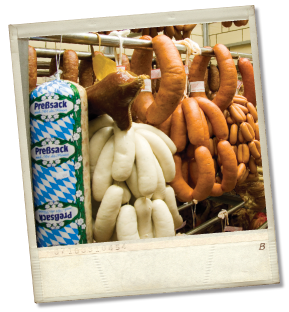 Sausage is a cornerstone food in German culture, with each region having its own specialty. 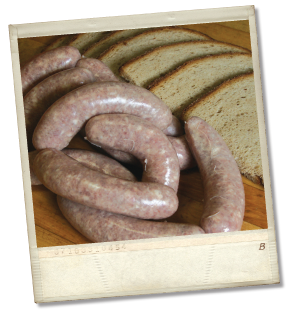 We carry an extensive variety of German specialty sausage, all handmade by our skilled craftsmen using our authentic recipes that date back to 1948. 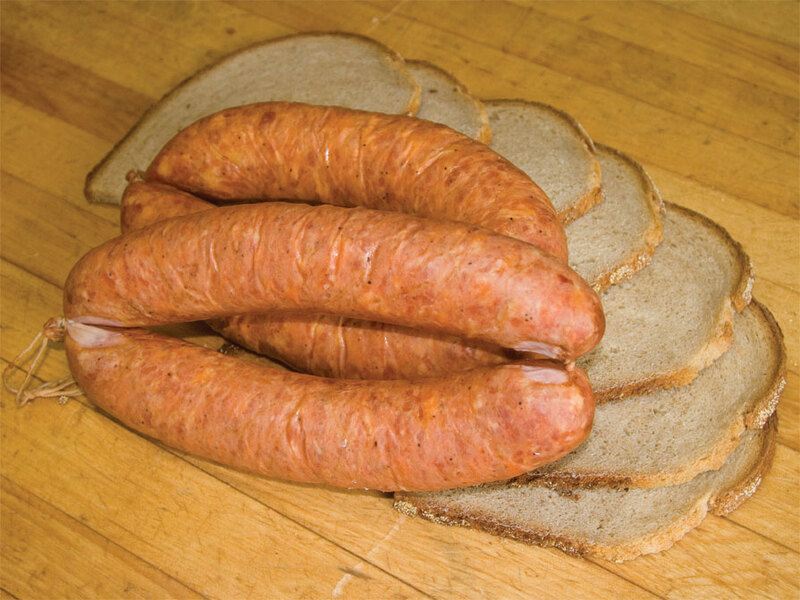 Germany’s famous pork sausage. Excellent when grilled or sautéed in onions. A narrow long pork and veal sausage made for browning off on the grill. A house favorite! Also known as "Farmer Sausage." 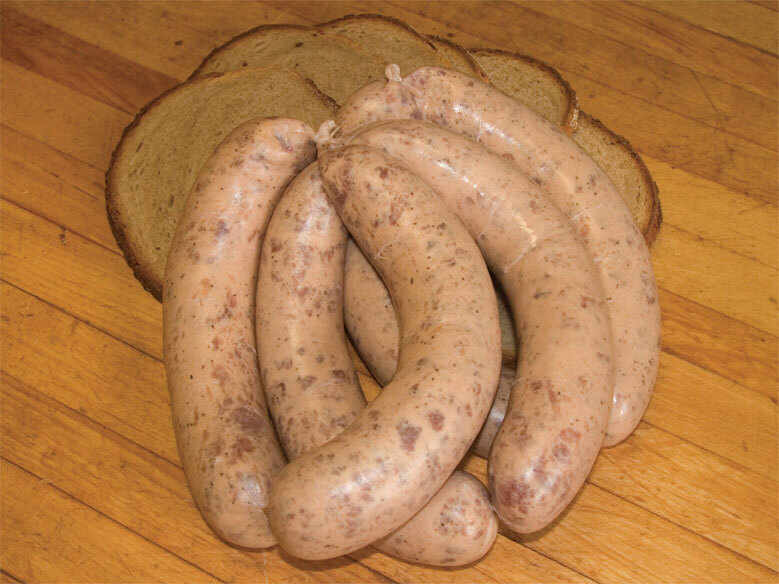 A coarse ground smoked sausage with mustard seeds. 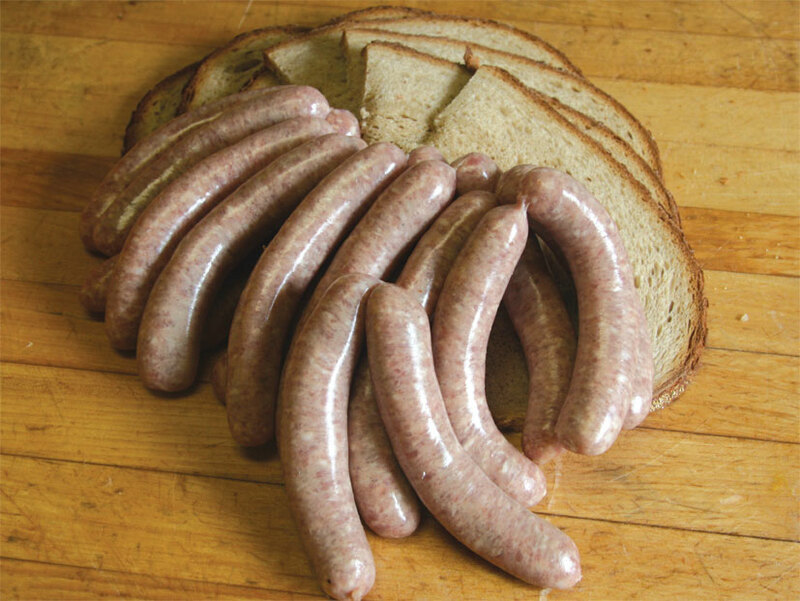 Cooked or grilled, a sausage lover’s delight. The old German favorite. 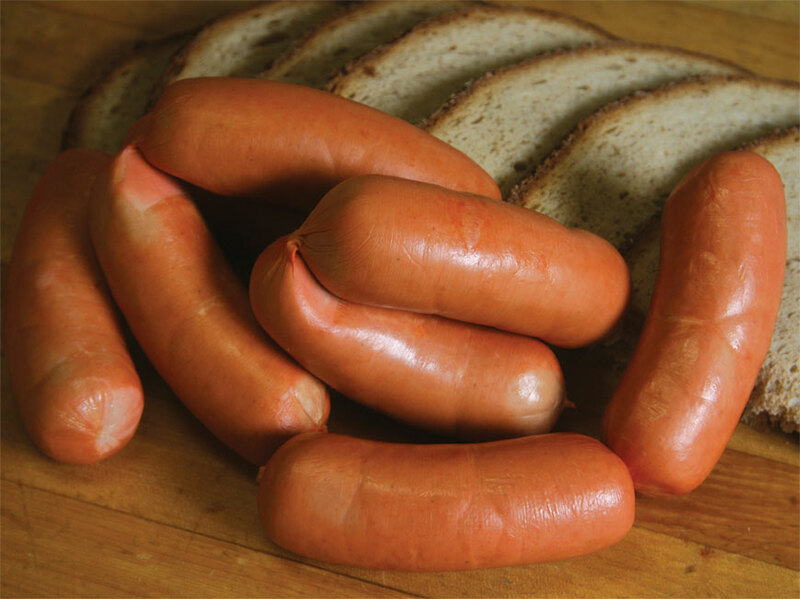 A thick variation of a frankfurter with a touch of garlic; great when cooked in sauerkraut. Welcome to Munich! The Bavarian treat. Finely ground and mildly seasoned veal sausage. 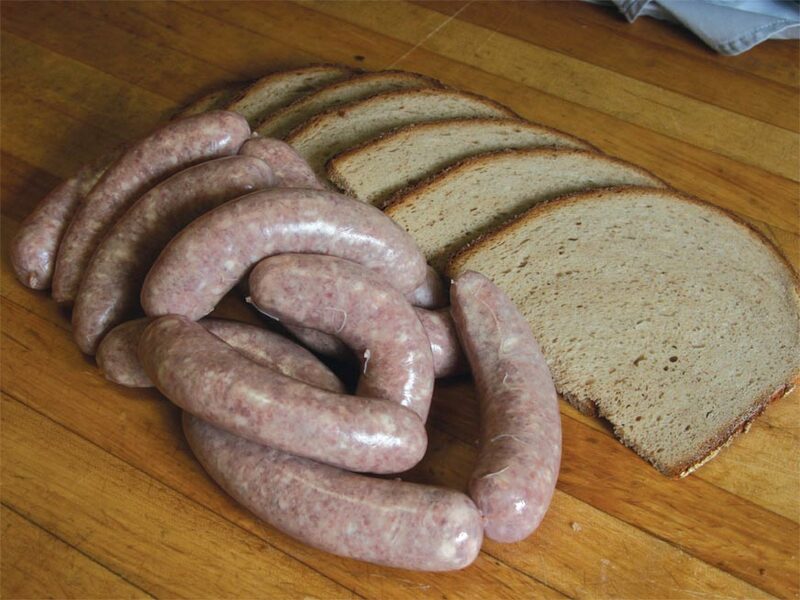 Weisswurst is plain, Bockwurst is with parsley. 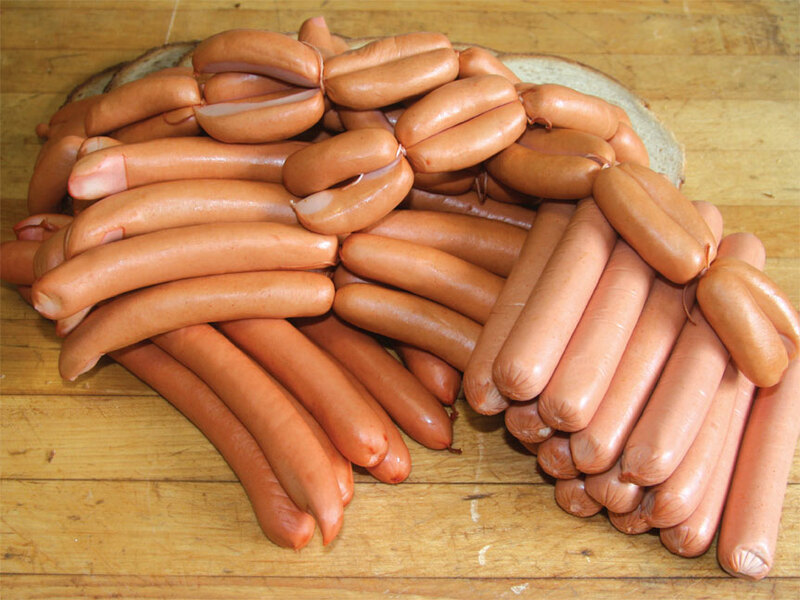 Our delicious frankfurters are available in four varieties: the old fashioned in a natural casing, saitenwurst (long wieners), a skinless variety which is great for summer grilling and our famous cocktail franks or "peanuts." 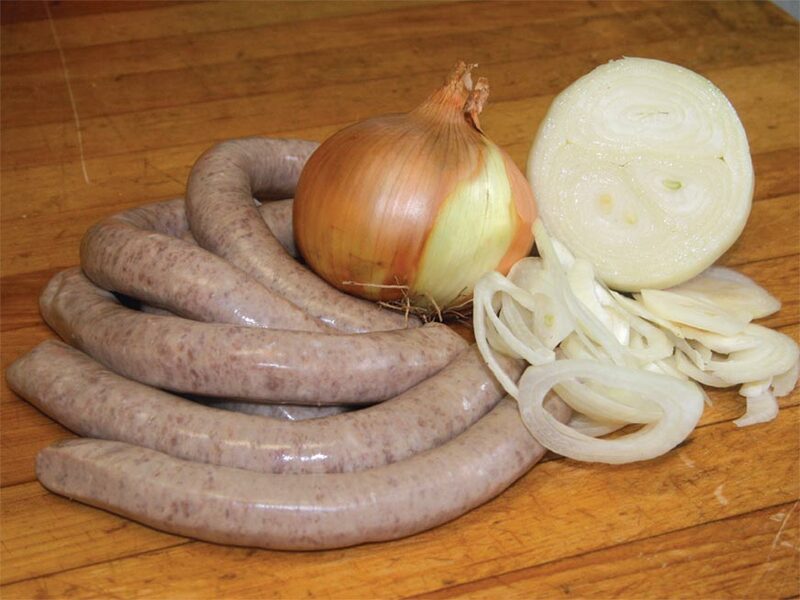 A narrow version of our famous bratwurst. 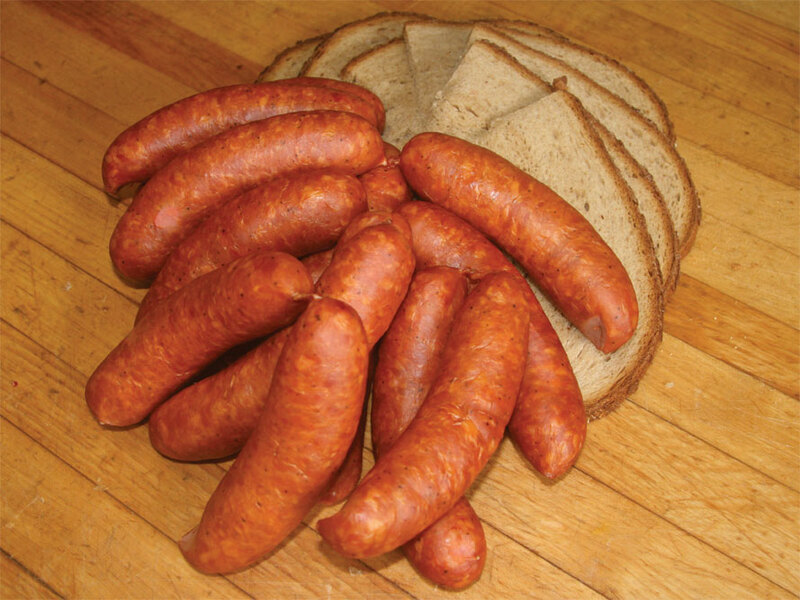 Similar to our polish kielbasa but a raw unsmoked version. Peppery & garlicky. Great for the Holidays or anytime in between. 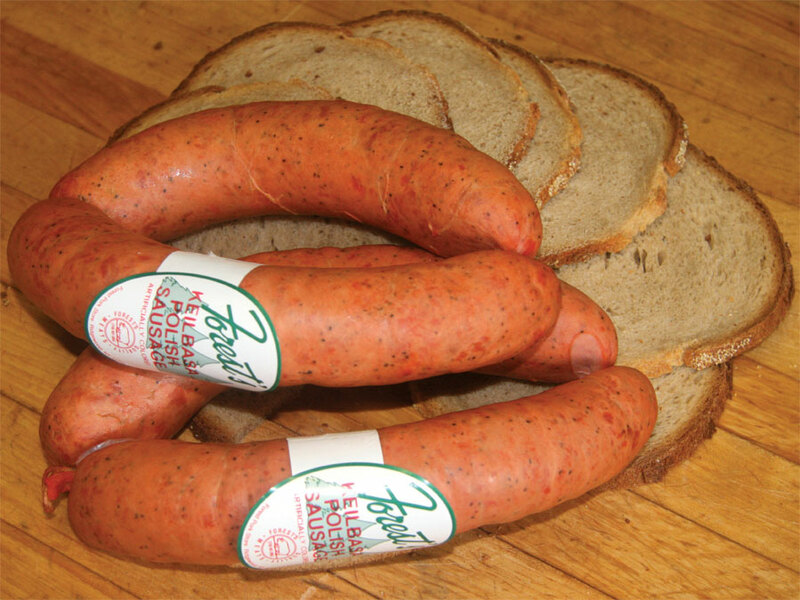 Our premier smoked sausage made from pork & beef. Coarse ground and mixed with our own blend of seasonings. Hot smoked for its excellent flavor. 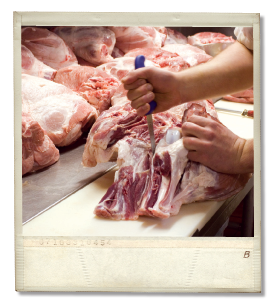 Great when simmered or grilled. Also available in spicy form. 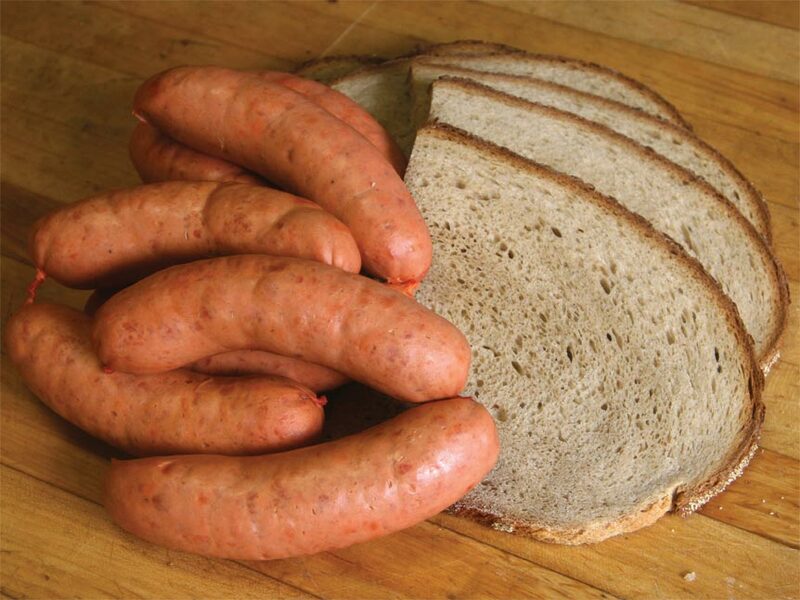 Just like our delicious Krainerwurst, but in a ring form. Ik snack Platt, du ok? 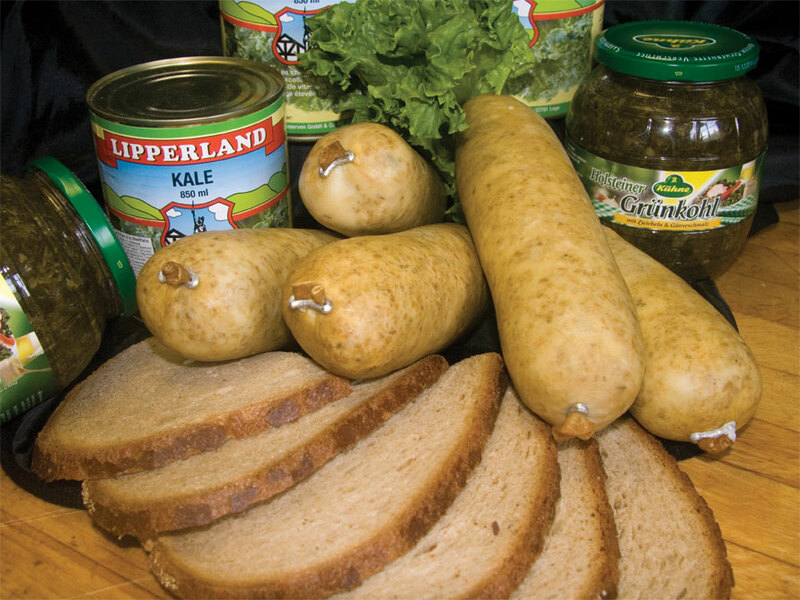 The North German cooking wurst, traditionally served with Kale. Very popular in the cold months. A Gottscheer favorite. 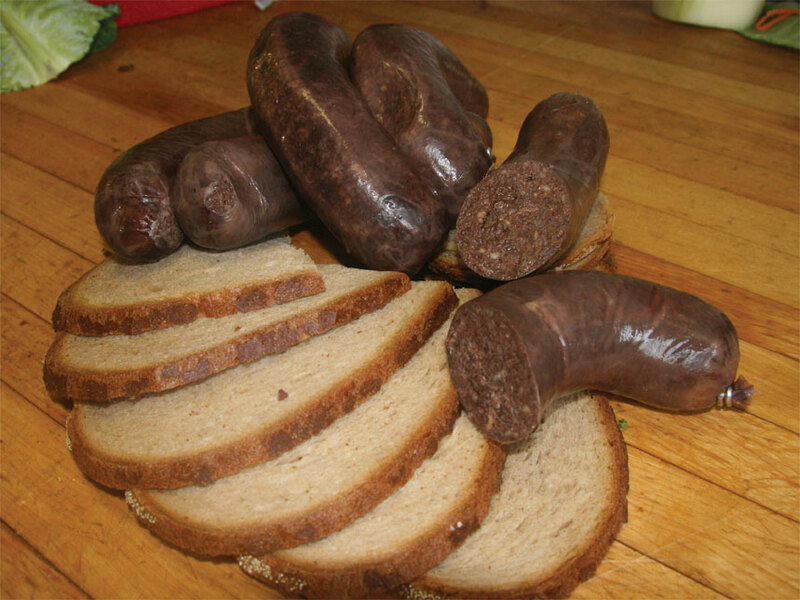 Blood sausage with rice & cinnamon.